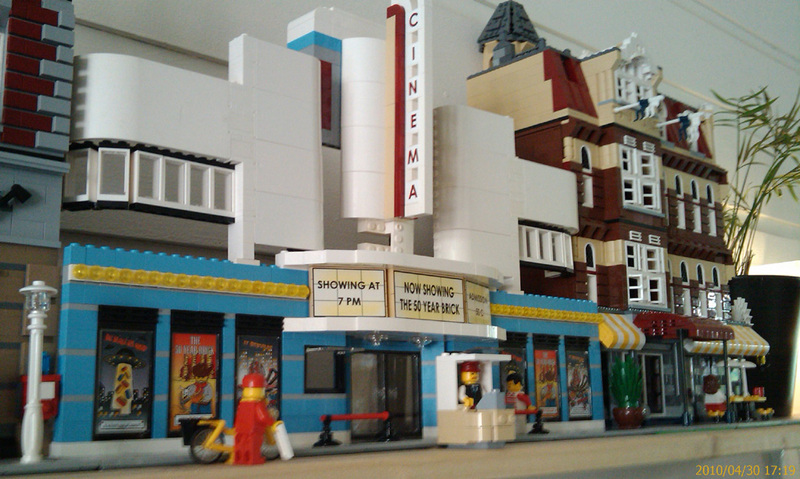 Brick Town Talk: Delux Cinema - LEGO Town, Architecture, Building Tips, Inspiration Ideas, and more! This beautiful cinema is just part of a street created by Grrrr (interesting name). Its me, Grrr :). Thanks for noticing! Obviously, the cinema is not finished yet. i am waiting for a large bricklink order witj 50 seats and a lot of bricks to make this one fully built. I just like to say i really like your blog and have checked it very often in the last months to see what other builders are doing and for inspiration. Keep on blogging! Thank you for your message. Let us know when you're done and we'll feature it again. I'm sure our readers would be very interested.